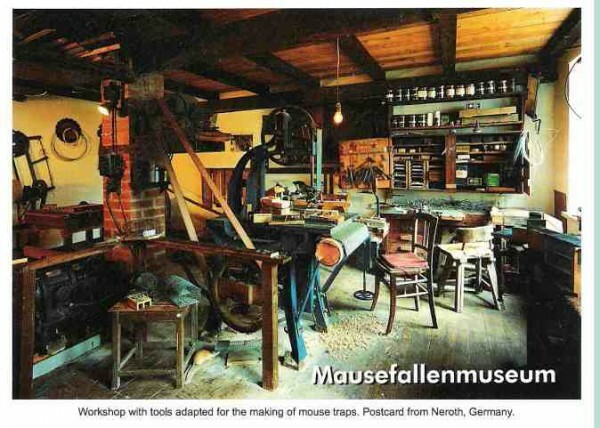 "This Museum was established in 1990 by the Heimatverein Neroth in the old School House to celebrate the mouse trap making cottage industry that had flourished in Neroth and nearby villages for over one hundred years." And as a bonus, here is an incredible collection of mousetrap history books in PDF form. Rube Goldberg Machine, Now Featuring Real Humans! 1) Start the first video playing but shut off its sound. 2) Quickly start the second video playing. 3) Restart the shorter second video several times, as necessary. VMB 2011 from CONSULADO on Vimeo. The drug intake among the writers on this one was particularly copious.